A creative partnership between Tom Laroye and Yam Who?, Qwestlife is a trans-continental boogie trip between the two producers’ respective homelands of Paris and London. 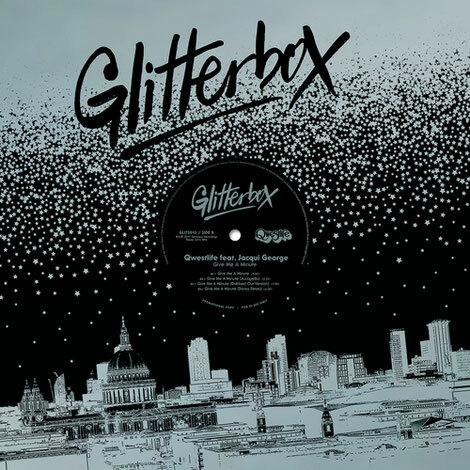 Fulfilling the Glitterbox philosophy by crafting great songs the old school way with analogue and weird electronic gadgetry, ‘Give Me A Minute’ appeared first on Glitterbox’s Disco Revenge compilation and now graces vinyl for disco connoisseurs everywhere. The track features the vocals of a frequent Yam Who? collaborator, soul singer Jacqui George. Its disco-fuelled synths and strings plus live sax, trumpet, guitars and bass give a glorious saturated dancefloor vibe rolled into one by sticky hooks and a chorus. Accompanied by the Dubbed Out Version, plus an Accapella and Bonus Beats, this vinyl release aims to provide all the good stuff that Qwestlife have to offer. It’s out 15 December on Glitterbox Recordings.